Thank you for signing the Guest Book for Kelly Catlin. Please take a moment to sign the Guest Book for Kelly Catlin. My sincerest condolences go to the family and friends of Kelly Catlin. She will be missed. We will never know the weight that Ms. Catlin carried. We can be comforted to know that God knows all our hearts better than we know ourselves. At Jeremiah 29:11, God states "For I well know the thoughts that I am thinking toward you, thoughts of peace, and not of calamity, to give you a future and a hope. Our family aches for your family. 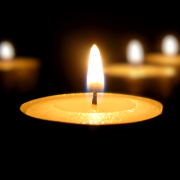 You have our most heartfelt sympathy as you navigate the deep waters of grief at the loss of your daughter and sister, Kelly. It is a difficult journey. Our brilliant son was 24 when he died by suicide 22 months ago. You are often in my thoughts and prayers. Thank you for sharing her story, her mental health struggles, her fight to live. Your intelligent, articulate voices are raising awareness. I hope to convey my deepest sympathy to all your family. Kelly will be missed. Send me a daily email when updates are made to the obituary or Condolence page for Kelly Catlin.